Jacinta Gauda oversees a top-tier corporate communications practice that provides advisory services to an impressive list of domestic and international clients. For more than twenty years, she has served in executive roles within leading global communications firms. A human capital communications specialist, Jacinta Gauda develops strategies and executes programs to attract, engage and retain talent, promote benefits and professional development offerings, build strong employer brands, and increase cultural competency and inclusion within workplace cultures. An executive coach, international communications trainer, and seasoned facilitator, Jacinta Gauda leads strategy development processes for leadership teams. She has broad experience in addressing all aspects of a crisis. Ms. Gauda produced Toward Innovation: New Thinking for the Multicultural Workplace, a report prepared under the auspices of the Court-appointed Coca-Cola Company Task Force; the CFP Board’s consumer guide on avoiding financial abuse with 22,000 copies being distributed by the General Services Administration (GSA); and best practice webinars on working with NFL player/clients for the NFLPA Financial Advisors Program. She is the producer and host for the featured session at the 2014 Conference, Life, Money and Change: An Exploration of an NFL Player’s Transition. Ms. Gauda is on the faculty of Fast Company’s “Thirty Second MBA”, and is a member of The American Psychological Association’s Division 13 Society of Consulting Psychology. She was appointed by the Supreme Court of the State of Missouri to the 22nd Missouri Judicial Bar Committee. 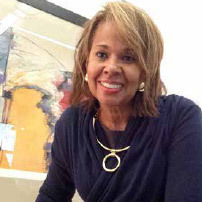 Jacinta Gauda serves on the NFLPA Financial Advisors Program Advisory Board. She is a member of the Board of Directors of the National Urban Fellows.